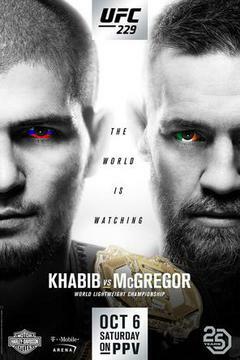 Nate Diaz, Tony Ferguson "El Cucuy"
Derrick Lewis "The Black Beast", Alexander Volkov "Drago", Ovince St. Preux "OSP", Tony Ferguson "El Cucuy", Anthony Pettis "Showtime", Khabib Nurmagomedov "The Eagle", Conor McGregor "Notorious", Sergio Pettis "S.P. ", Tonya Evinger "Triple Threat", Aspen Ladd, Michelle Waterson, Felice Herrig "Lil Bulldog", Jussier Formiga "Formiga", Dominick Reyes "The Devastator"
Tony Ferguson "El Cucuy", Conor McGregor "Notorious"
Chael Sonnen, Tony Ferguson "El Cucuy"
Tony Ferguson "El Cucuy", Khabib Nurmagomedov "The Eagle", Conor McGregor "Notorious"
Tony Ferguson "El Cucuy", Amir Khan "King"
Tony Ferguson: If Mayweather Gets McGregor In A Corner He Wont Be Able To Run! Tony Ferguson "El Cucuy", Khabib Nurmagomedov "The Eagle"
More from Tony Ferguson "El Cucuy"